A classic, Windsor style Fan Back, offers solid wood construction with high back. Tapered spindles, flat crest rail, and "h-stretcher" at the leg, creates the utmost strength and stability. This chair has a 19" seat width and is a perfect seating choice for a formal dining area. Available in Side or Arm styles with wood seat. 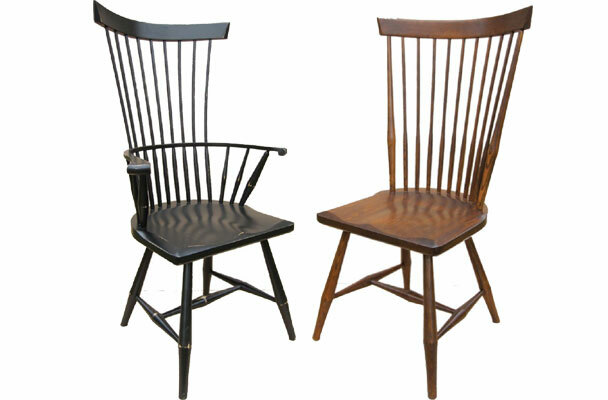 Fan Back Windsor Chairs have long been revered as the beacon of high-style, and taste. 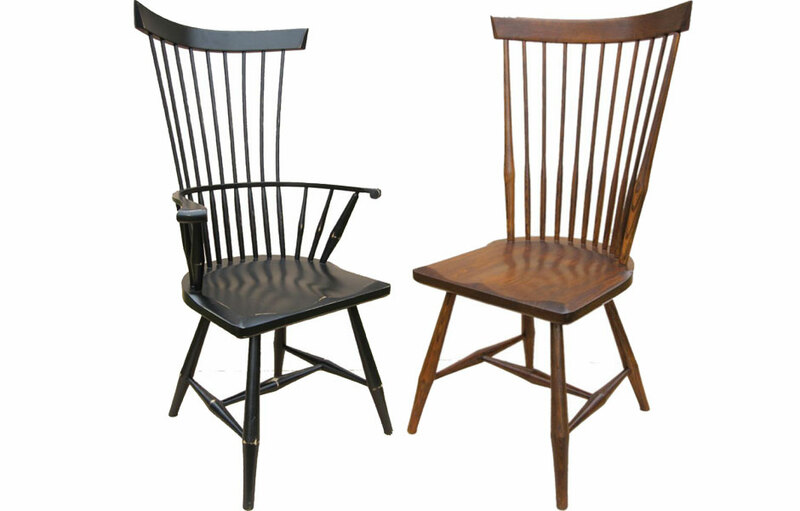 Fan Back Windsor chairs have sustained stylistically and in popularity for over 300 years. It's a true classic, built on melding sturdy construction with delicate design, comfort and style. Classic Windsors traditionally were painted dark green, then red, and black. 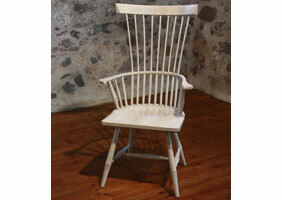 But, few other chairs have adapted to the times as well as Windsor chairs. Through generations, paint colors have changed to reflect the style of the times. Today, you'll see Fan Back Windsors painted in vivid blues, whites and oranges to relate to various decor styles. The Fan Back Dining Chair offers a modern flair to the Windsor family. 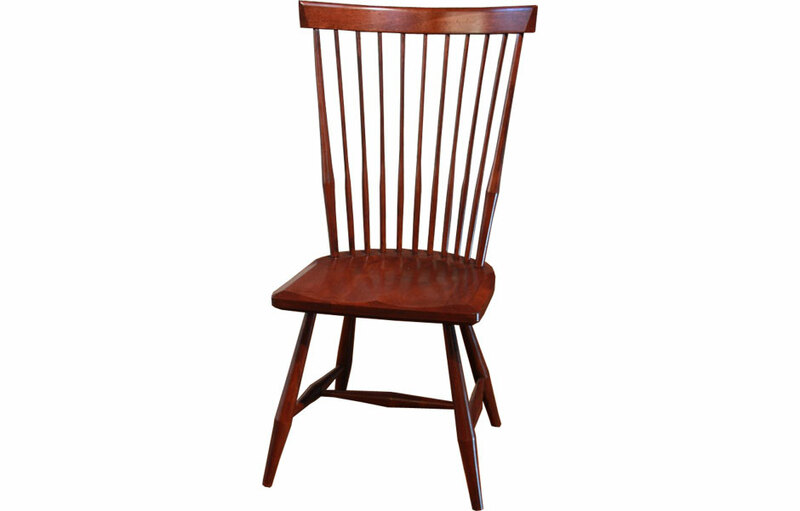 The high back chair has a solid wood 19" wide plank seat, smoothly tapered spindles, which join at the upper flat crest rail. The bent arm provides adequate strength to balance the sitter's weight along the tall back. The base of the chair features a "h-stretcher" at the legs for the utmost strength and stability. 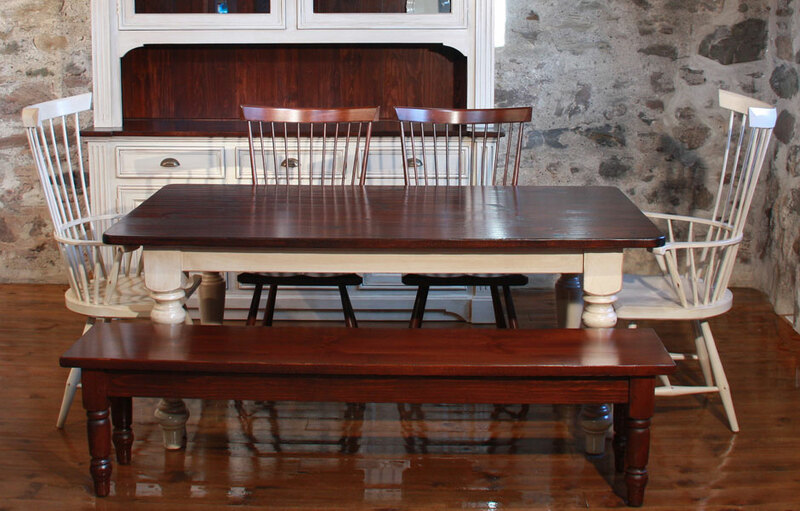 The high profile of this Windsor add prominance, elegance, and modern feel to a dining table. The Fan Back Dining Chair works well into French Country, English Country, Farmhouse, Cottage, Rustic, Transitional, Modern, and Traditional homes styles. 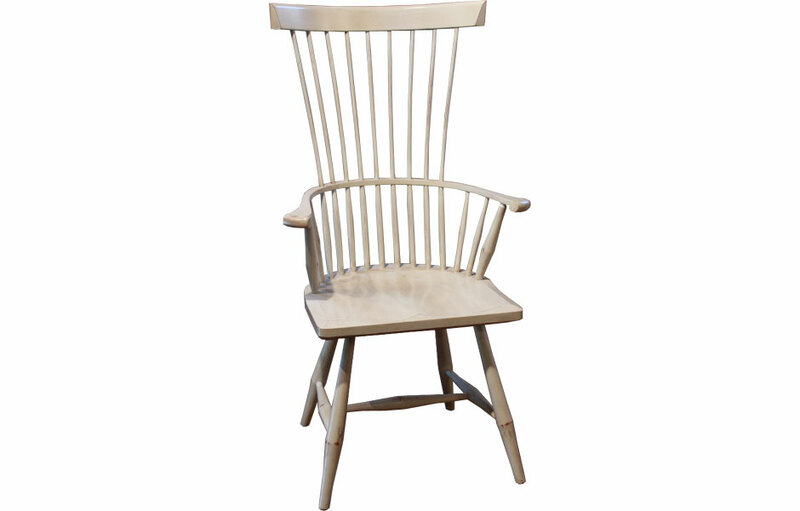 Fan Back Chair shown in an arm style and finished with Sturbridge White milk paint. 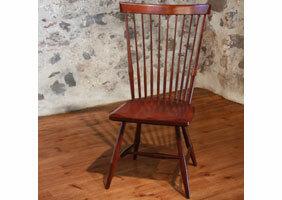 Fan Back Chair shown in a side style and finished with Antique Mahogany stain.